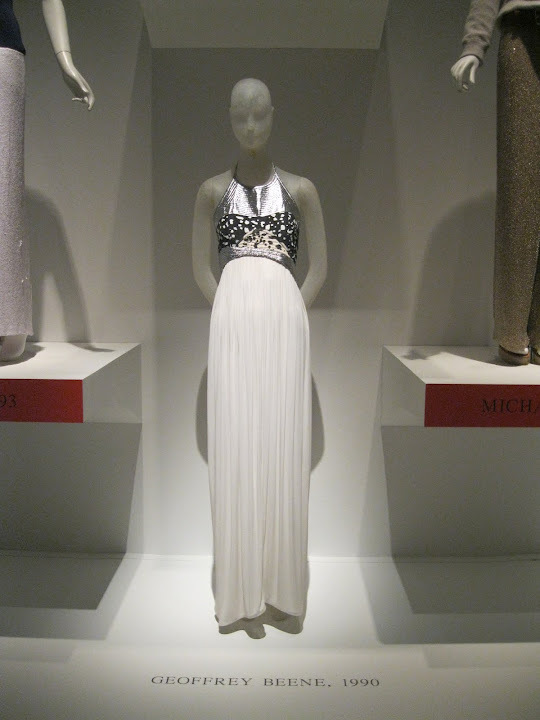 Tuesday, April 17, is the final day to see the exhibit IMPACT: 50 Years of the CFDA at The Museum at FIT. I’m thinking about warmer months more and more so for my last post on this exhibit I thought I’d share two pale dresses, both of which seem perfect for spring and on into summer. Wonderful bigger photos, my dear Jill. Thank you so much for your lovely comment, so much information always. Much love and best Sunday ever. both of these gowns are gorgeous and would that I could visit the exhibit...even on the last day.